Cebu Pacific Promo: Go with the LOW! Book your tickets now! Fares range from P99 to P699. Please refer to the photo above for the destination details. Fares range from P99 to P1899. Make sure to double check the destination of your choice! 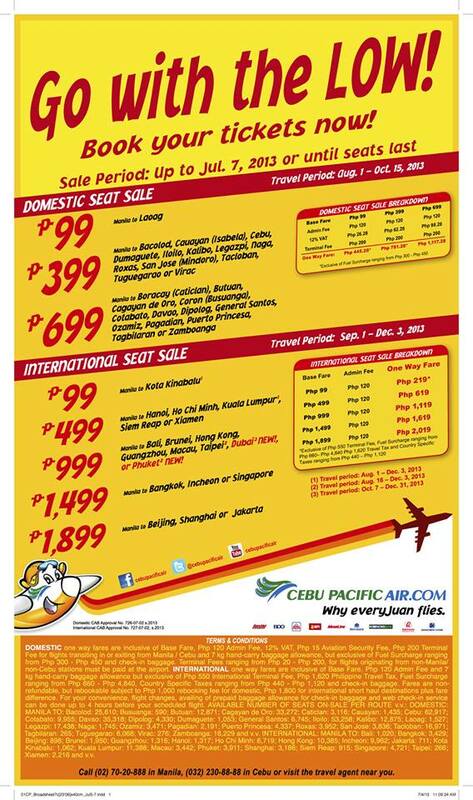 Our latest ‎#CEBseatsale is now up! Remember to log on to http://www.cebupacificair.com/ to book your latest flight! may available pa po ba? from manila to tacloban?